Snowwolf 218 TC mod, powered by three pieces 18650 batteries. max output 218watt, made of stabilized wood and aluminum alloy, black and silver colors avaliable. with improved temp control technology, temp control range from 200F to 570F. support resistance as low as 0.1ohm, support kanthal A1, TI, NI200, SS wires, VW, TC, TCR, TFR output modes avaliable. 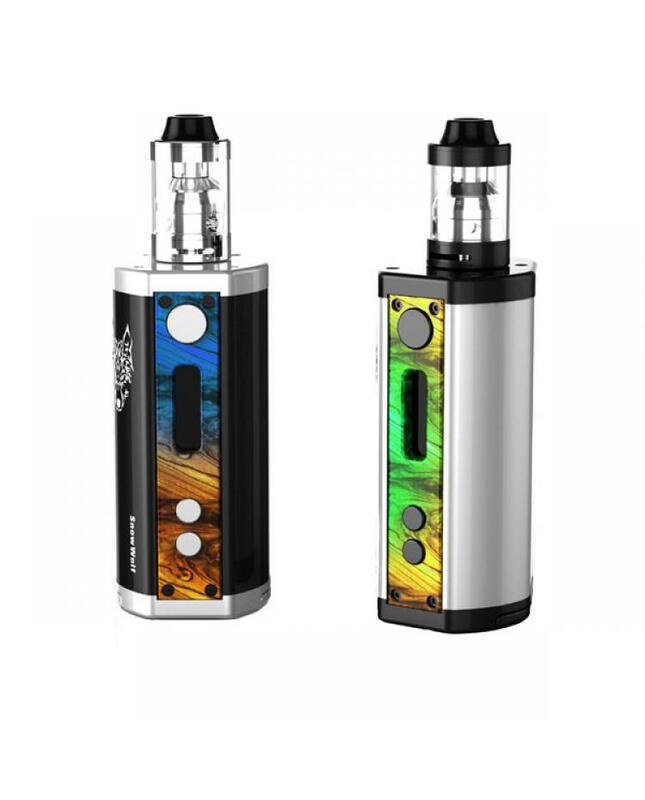 the snow wolf 218w mod with a 0.91inch big OLED screen, easily read the vaping info.